Automated trading is, in essence, a software program that trades automatically on your account through your binary option broker’s trading platform. The robotic trader can in some ways be compared to a trading signals service,yet the auto trader will execute trades on your behalf in terms of the parameters you have set rather than send you a trading signal which you can carry out asa manual trade. On the flipside though, there are many signals service providers which can be linked to an auto trader and so as the trading signal is sent, if the information matches with the set trading parameters, the signal will be traded automatically by the auto trader. The automated trading systems are best suited for use by traders who are very active, typically doing a large number of trades daily. In addition, for those who do not have the time to monitor market movements on a regular basis, the auto trader will pinpoint potentially profitable trading opportunities based on the trading parameters set and will execute the trade without the presence of the trader. The criteria used by most of the auto trader software focuses on technical analysis based on asset price movement and they are suitable for all binary options investment mediums such as equities, forex, commodities as well as indices. Binary options brokers, such as Option.FM, recommend the use of auto trading to their clients since the use of anauto system has a number of distinct advantages which we will explore. Binary options traders are always advised to impose self-discipline in terms of their trading behavior and to carry out their trades in terms of their self-imposed disciplinary code. The urge to abandon this discipline can be strongest in volatile markets or other trading situations where emotions rule over common sense. 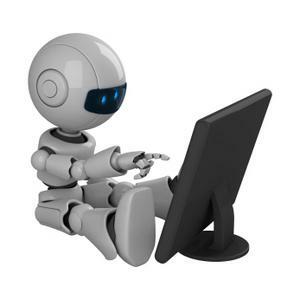 Once you have installed your personal trading parameters onto the auto trading system, discipline is maintained because the robot will only act in terms of your previously loaded instructions. The possibility of errors is also eliminated where you might click on Call instead of Put or make other simple keyboard errors that can cost you money. Automated trading systemscan never be influenced by your emotions during trading sessions. The absence of any emotion during trading means that your trading plan or strategy is always strictly adhered to without deviation. Risk management is also enhanced when you use an autotrader because the various protective strategies, such as stop-loss, take profit and others that you have loaded, will always be strictly observed by the auto trader. You will also never suffer from having given into the temptation to overtrade when you are having a good day and attempt to maximize profits or recoup losses when trades have not performed as expected. Most binary options auto trade systems allow you to test the trading rules you have loaded by using historical data to confirm the viability of your trading parameters. This means you are able to test your strategy using historical asset price data without losing money if the parameters you have loaded are not efficient. Many brokers, such as Option.FM, provide historical price charts of a wide variety of assets which you can use in order to test your trading parameters. This test trading can also be used to determine the viability of your trading plan by applying it to existing historical data and it gives you a success expectancy using your strategies. Features of this nature can be very helpful in allowing you to refine your trading strategies in order to optimize profits. Most successful binary options traders will tell you that you have to plan your trades and once you have done so, to actually trade according to your plan. Most trading systems that have been developed need to be carried through according to the rules set in order to achieve the desired result anticipated from the system. While there is no certainty attached to any trading strategy, if you change the rules of the game during your trading session you can’t hope to succeed. A good example of this would be if you plan to make six trades during a trading session and end ‘out of the money’ four times in succession and then abandon the last two trades in despair, you have altered the expectancy ratio of making a profit. The two trades you did not carry out might well have both ended ‘in the money’, changing the result for the whole session. Automated trading means this can never happen because the robot will always trade according to the plan without any deviation. Consistency of action breeds success. Binary options are based on two elements; direction of price movement and time which makes the timing of trades a vitally important aspect of successful trading. One of the weaknesses of trading signals is the time it takes a trader to react to a signal and then to conclude a trade. In many cases, opportunities are lost because the signal wasn't reacted upon fast enough and what should have been a winning trade, ends up being a loser. Auto traders react instantaneously to signals and you have the benefit of your trade happening simultaneously with the signal of a potentially successful trading opportunity presenting itself which can result in an improved rate of trading successes. Because computers can scan thousands of assets and their behavior continually, the possibility of finding likely winning trading opportunities is greatly enhanced when you use an auto trader. Despite all the marvelous electronics and amazing activities that computers are capable of, at the end of the day, a computer is also a mechanical instrument that is subject to failure. While the auto traders are very efficient and effective, you will still need to monitor its activities on a regular basis in order to ensure that all is going as planned and as programmed. Also, remember to take the time to do your own market analysis. In this way you are able to fine-tune your trading parameters based on the actual fluctuations and events occurring in the financial markets.